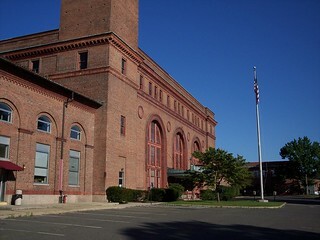 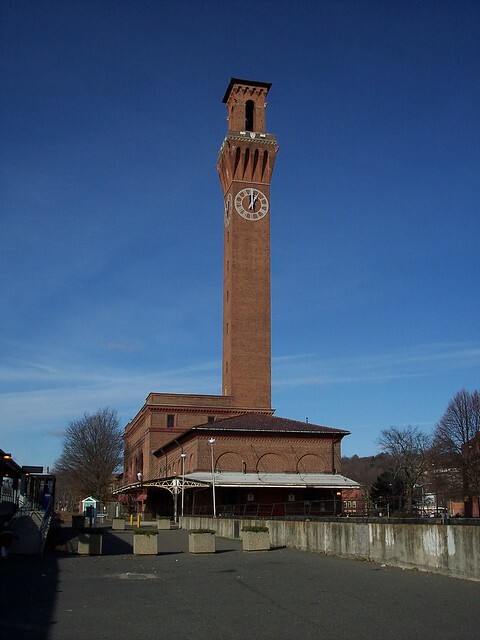 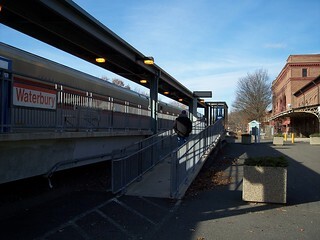 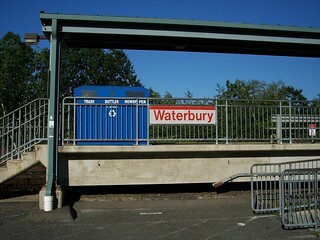 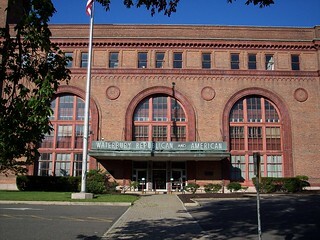 Our trip on the Waterbury Branch began in Waterbury. 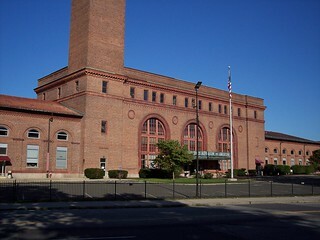 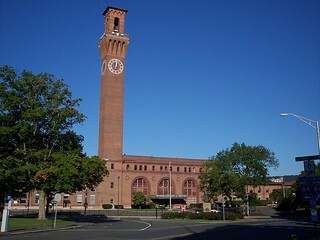 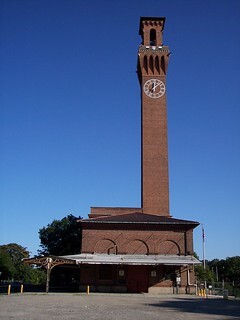 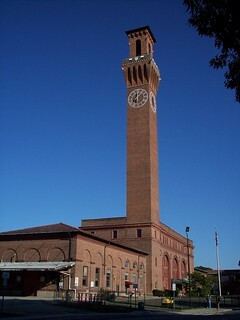 The large old station with its clock tower still stands next to the current platform. 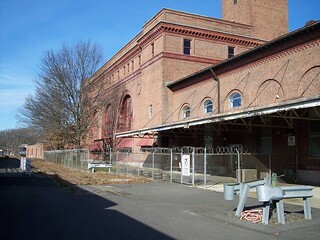 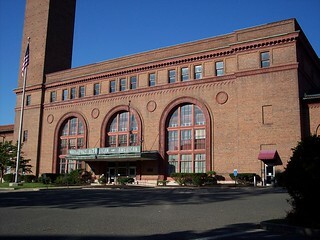 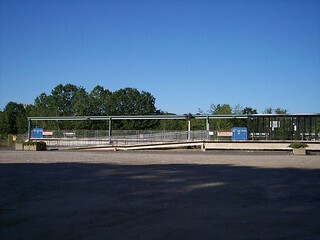 The old station is no longer used as a station though.